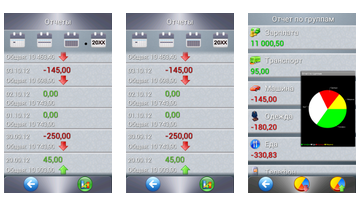 Spendee - is a unique and handy app for tablets and smartphones, which will be your personal assistant economist. 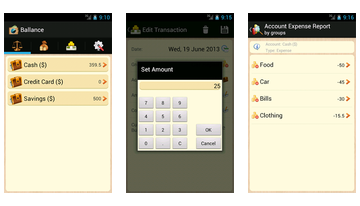 Now you can carefully plan and manage your finances on the go, anytime and anywhere. My Money Tracker app will help you answer the questions that people have started to ask more often. Namely - Where's my money? Where did they go? Where are the savings? In today's world really is hard to keep track of all flows of funds, round mass of temptations and opportunities, but we now have the opportunity to keep track of it all, this is exactly what the program is. The program is Tupaco your pocket accountant who is willing to take on your financial accounts and helping you honestly and competently. 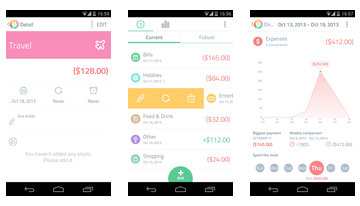 The interface in this application is very simple and very easy to use, which will easily control your income and expenses in the current period and to plan for the coming months. 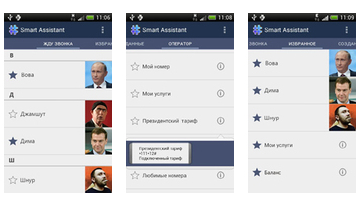 Program Smart Assistant is your handy helper for android, specializing in various USSD requests. 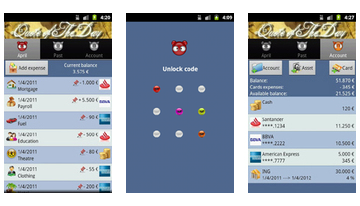 Now in one click you can get all the information you need from your mobile operator to quickly and simply. 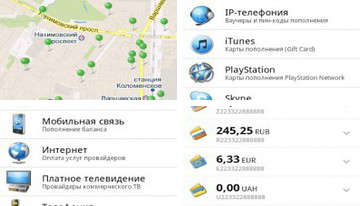 WebMoney Keeper Mobile - with the help of this application you will be able to use the system WebMoney electronic money directly from your phone. This is the official client, so it is completely safe to use. 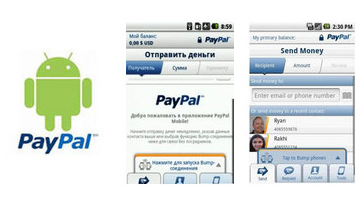 PayPal - Android version to manage your funds PayPal.